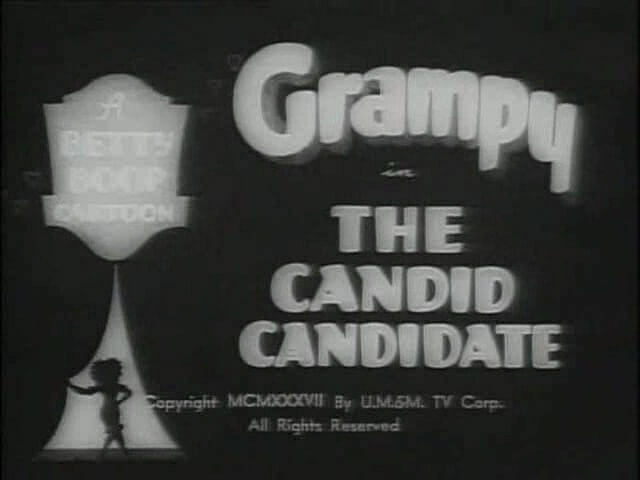 Betty Boop campaigns for Grampy to be the new mayor, and he wins by one vote. Betty gets everything in his office ready. But the moment Grampy sits down, the citizens come out from everywhere -- the chandelier, his desk drawer, behind a painting of a jackass -- to complain and to demand he fix things. Grampy is in his element. He finds novel ways to build a new bridge, fight fires, and stop drivers from ignoring the stoplight. He even improves ramshackle houses by pasting over them with posters of better looking houses. The subway train now goes directly into buildings, saving commuters the trouble of going outside. And the public fountain now serves beer. Hooray for Grampy!